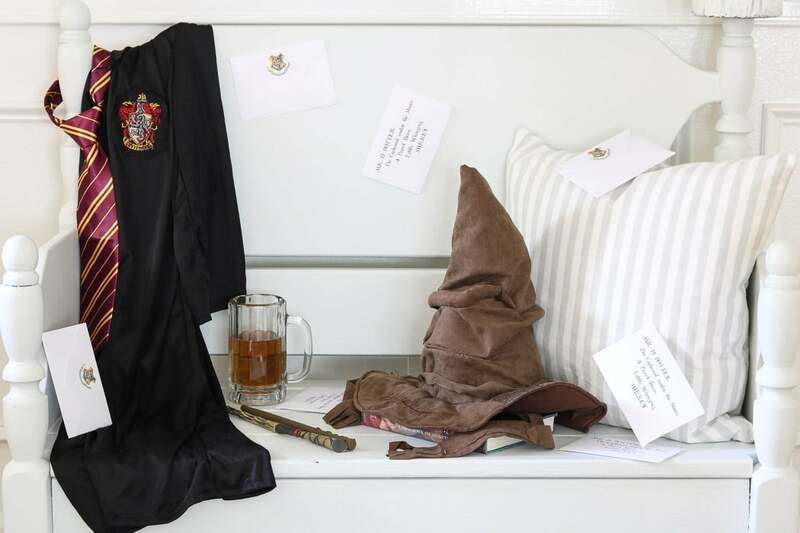 Get inspired with these Harry Potter Halloween decorations that will bring with them a great Harry Potter celebration. 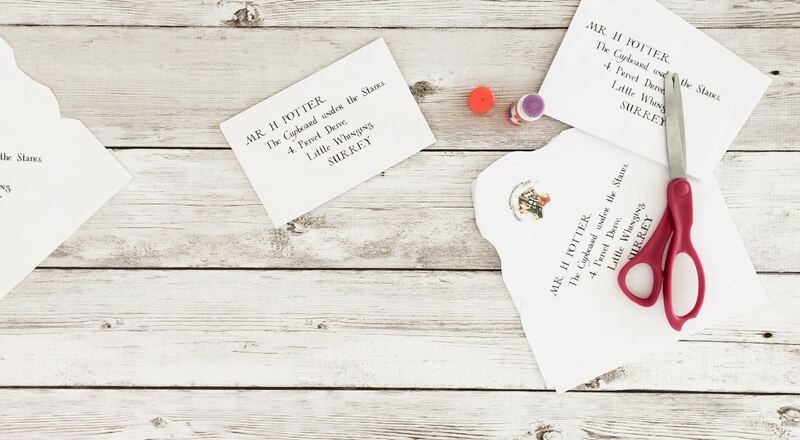 So grab all your muggle friends and let’s fly right into some holiday inspiration. 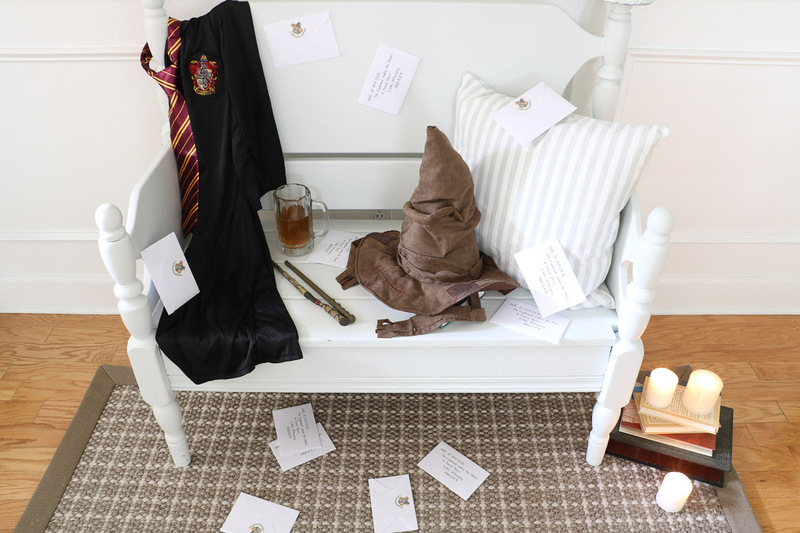 Surprise your guest with a Harry Potter celebration this year after transforming your home with these Harry Potter Halloween decoration ideas. 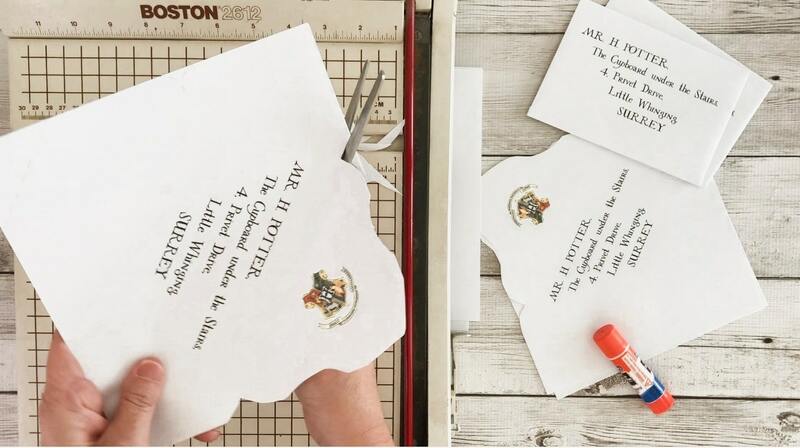 Recreate some of the movie, The Sorcerer Stone, moments with a sorting hat, flying Hogwarts letters and much more. Plus a free printable too. 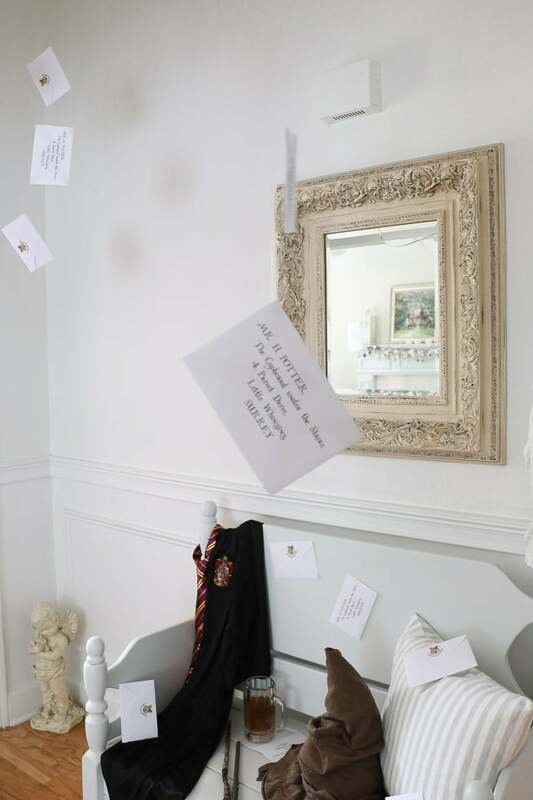 Not one or two or three or four but a letter to infinity describes that moment when all mayhem occurred in the home on 4 Privet Drive. 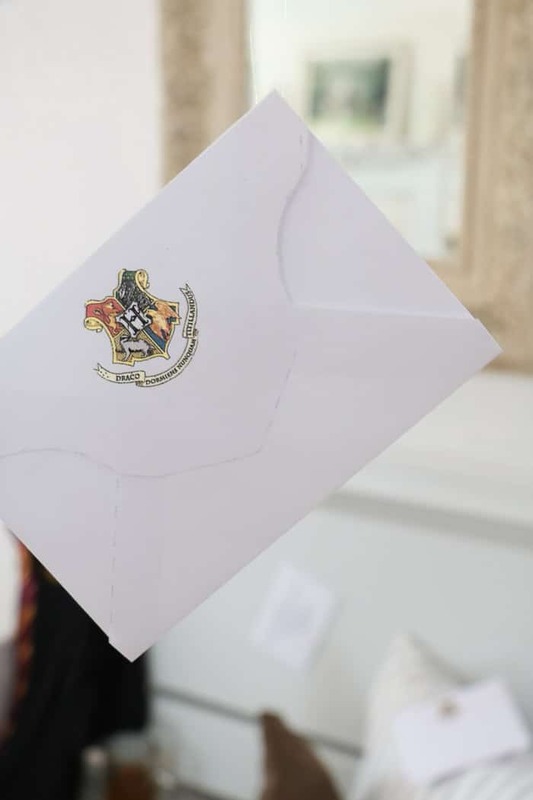 The envelopes started arriving and were determined to find their way to Harry Potter. 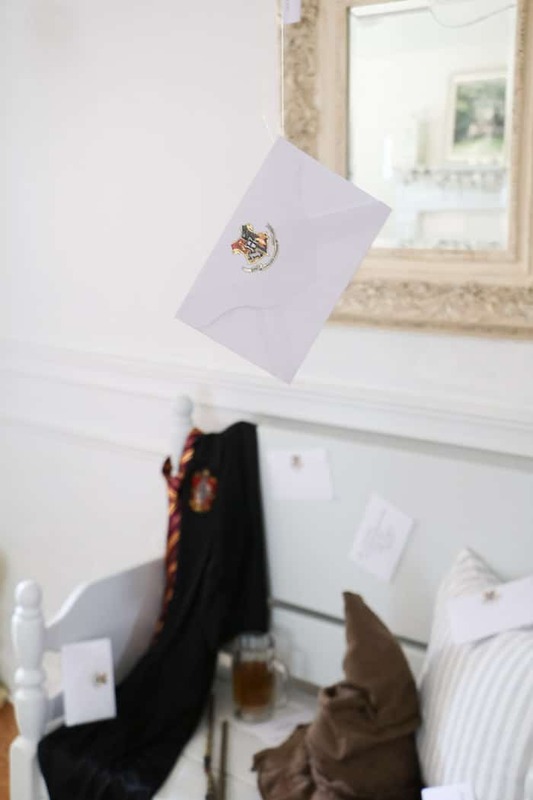 So, let’s create that moment with these flying Hogwarts letters. 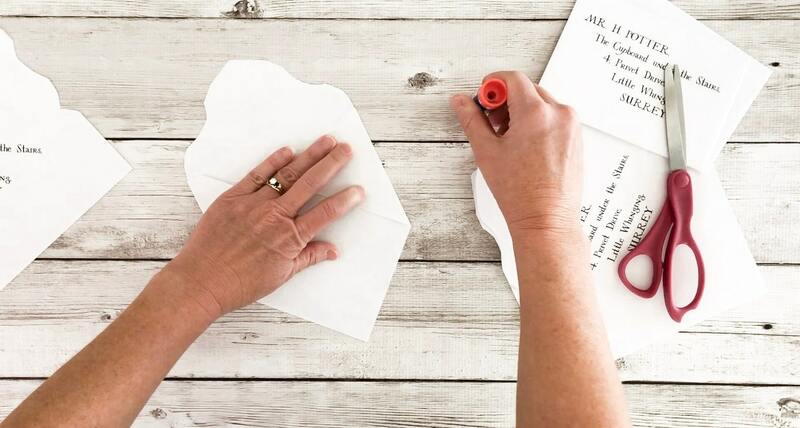 Instead of purchasing envelopes use these perfect envelopes by More than Thursdays. We printed 40 sheets with the Privet Drive address on regular copy paper. Now if you have a cutter then go ahead and slice all four sides. Once you have them all cut use some scissors to trim out a few edges and curves. Now simply fold one side. I use the end of the glue stick to score down where I have folded the envelope. Next, fold up the bottom and the top. Apply some glue where you folded the top to the bottom, and you are finished. Next step is easy to follow. 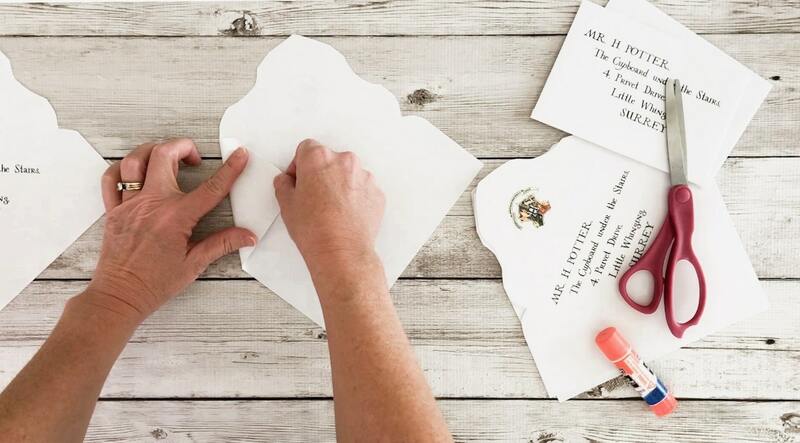 Pull out your glue gun and drop a dot onto the envelopes. Then lay your fishing line into the dollop. Let the fishing line sit in there by keeping it secure with your fingers. Once it is dry enough, you can let it go and place to the side to harden completely. A few tips about this step. 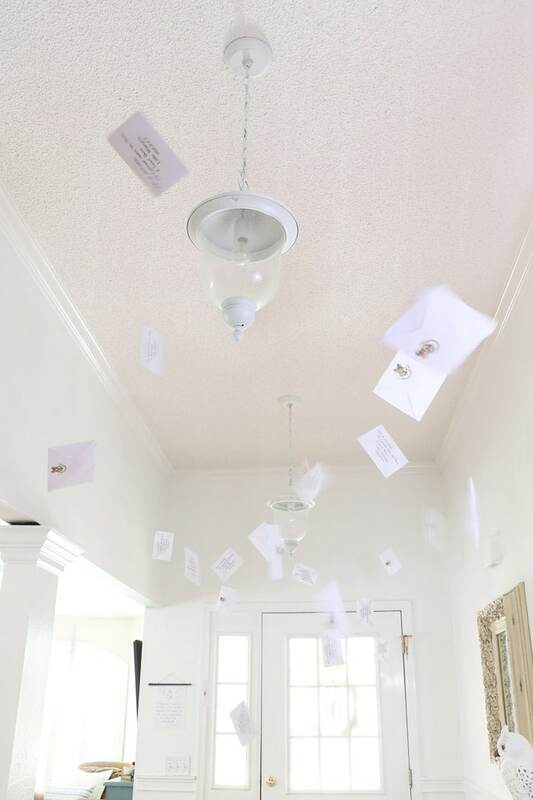 You will want your envelopes to hang in different directions. Drop dots of glue in many different places along the edges and make sure to do both sides. But now the more significant challenge is getting some of the envelopes to lay flat. Put a drop right in the middle and pierce the glue straight down with the fishing line. Keep it steady until it is good hardened. Now make a drop on each end straight across from the center to give it some balance. 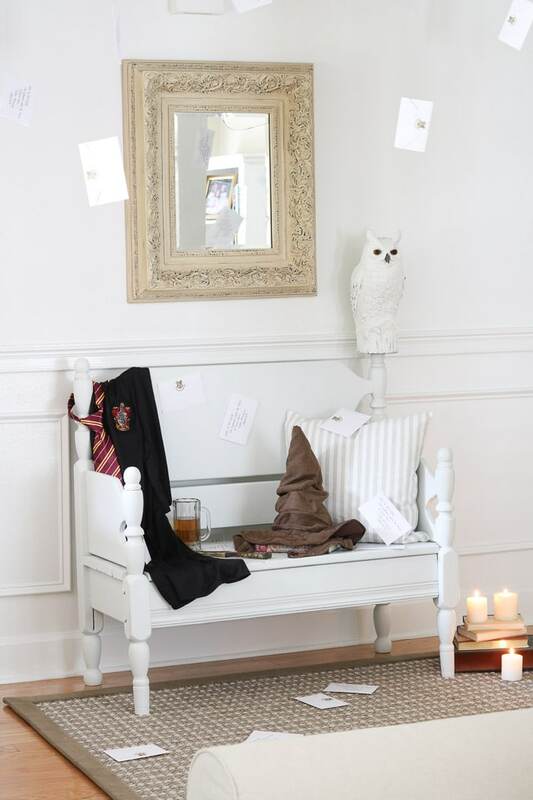 Now you are done and on to hanging your Harry Potter Halloween letters. 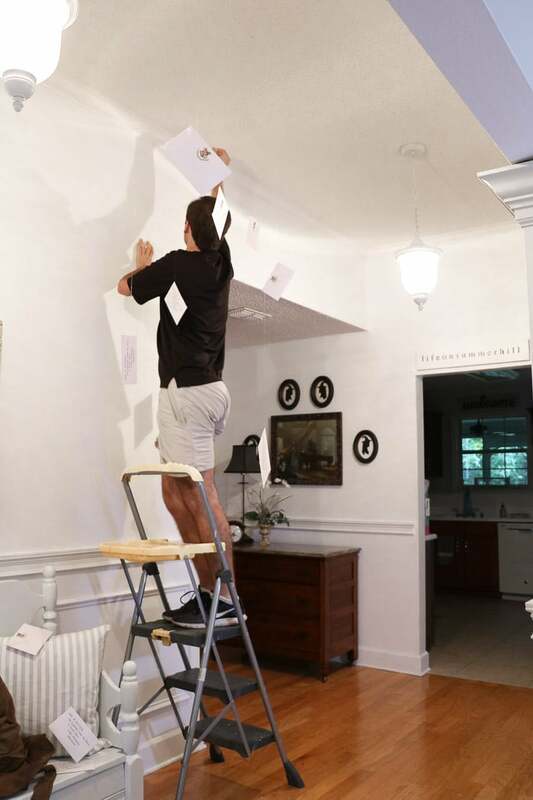 Pull out your ladder for this part and wrap the fishing line around the push pin and stick it into the ceiling. We used a flat white push pin so it would disappear on our white ceiling. 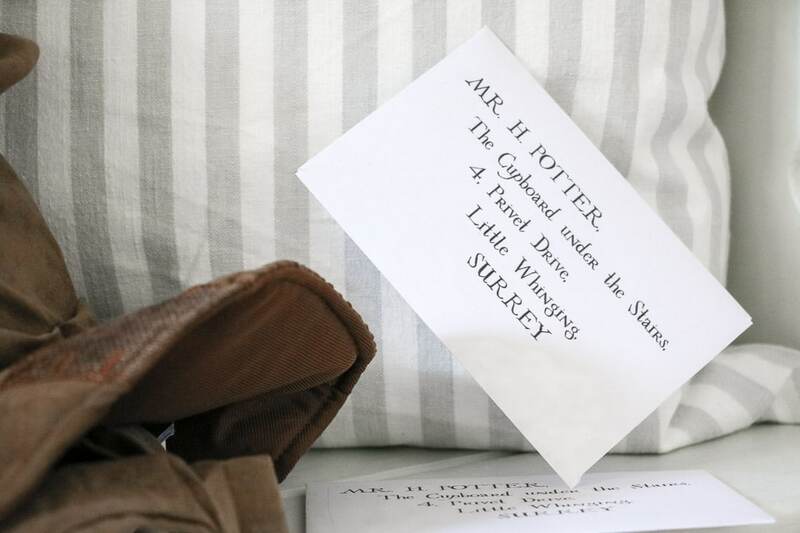 And now like magic you have letters that are determined to find their way to Harry Potter. 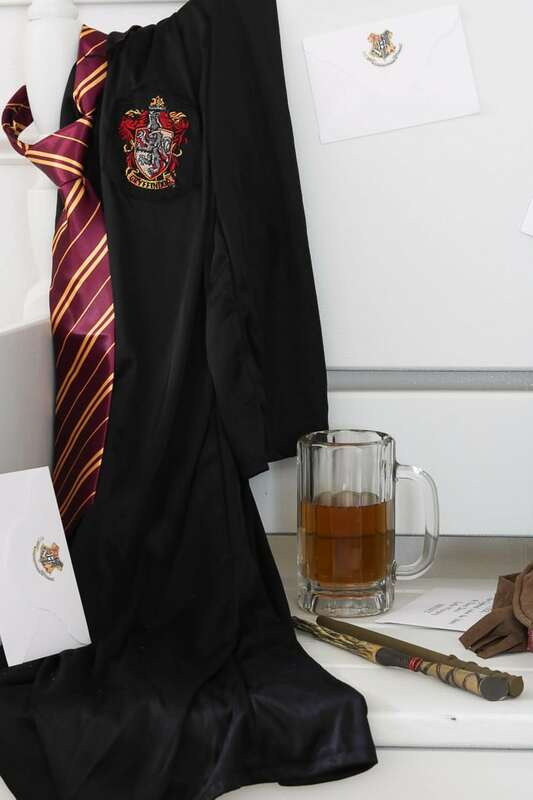 There are so many items to accessorize with for a Harry Potter celebration for Halloween. 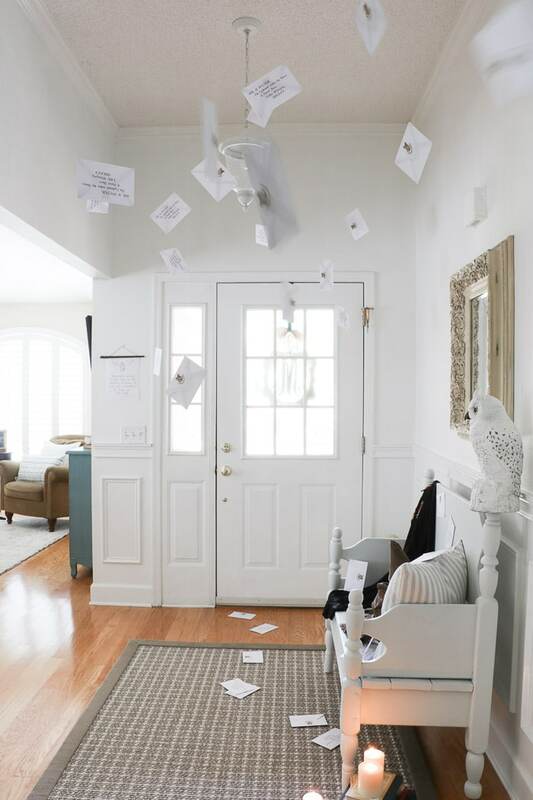 But with all those flying letters you need a good mail carrier. Just how in the world did all those crazy letters make their way into the humble Privet home? 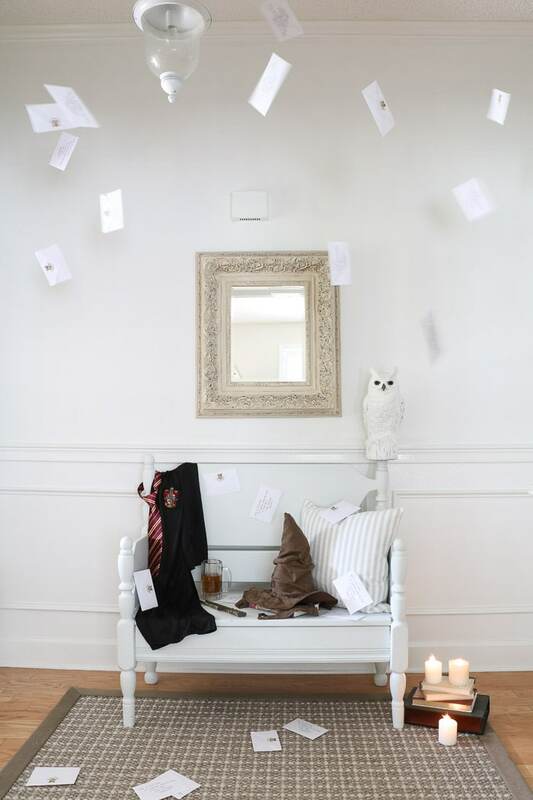 Well, by beautiful mail carriers like Hedwig, Harry Potters owl. 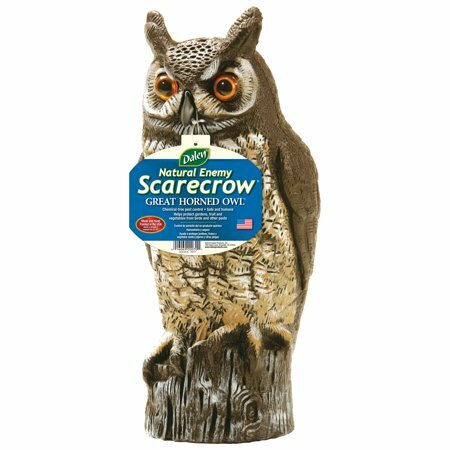 To create your own Hedwig merely go to any store and purchase a plastic owl decoy that is used to deter other birds. Once you have this charming creature in your hands, use some painters tape to cover his eyes and beak. 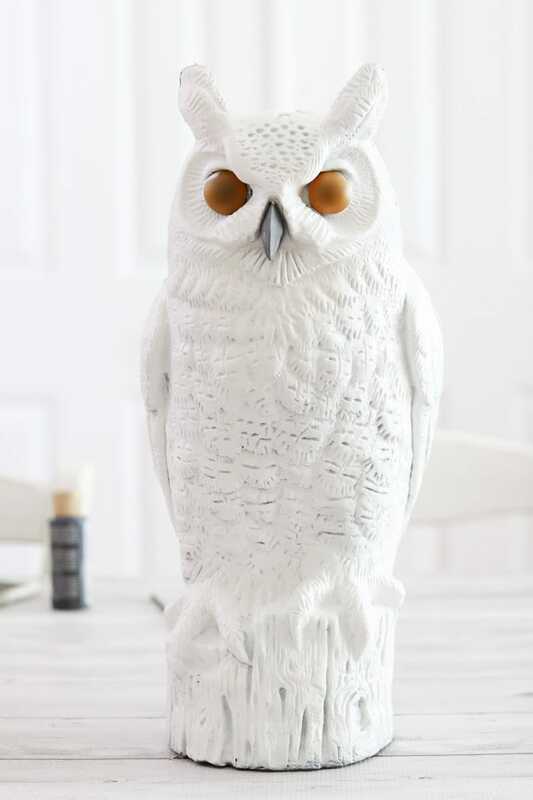 Then spray-paint him with some Kilz paint in the color white just like Harry Potters owl in the movie. 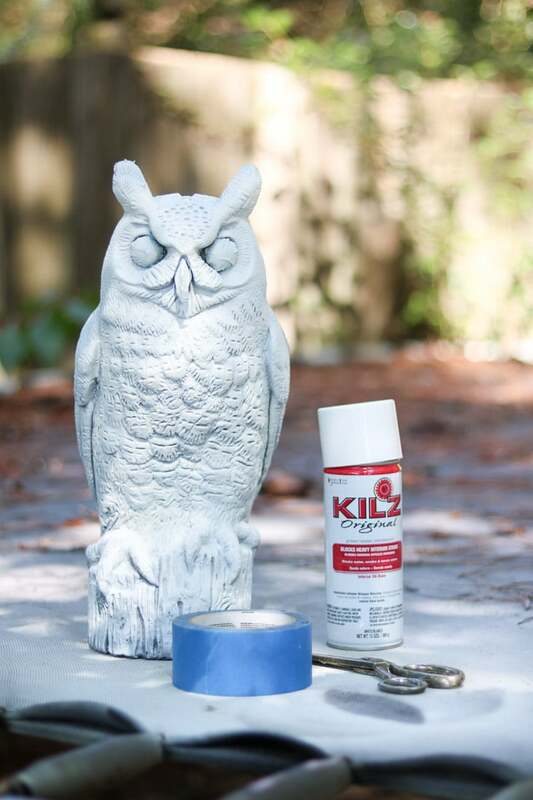 Next, paint the owl with Kilz spray-paint that is white. 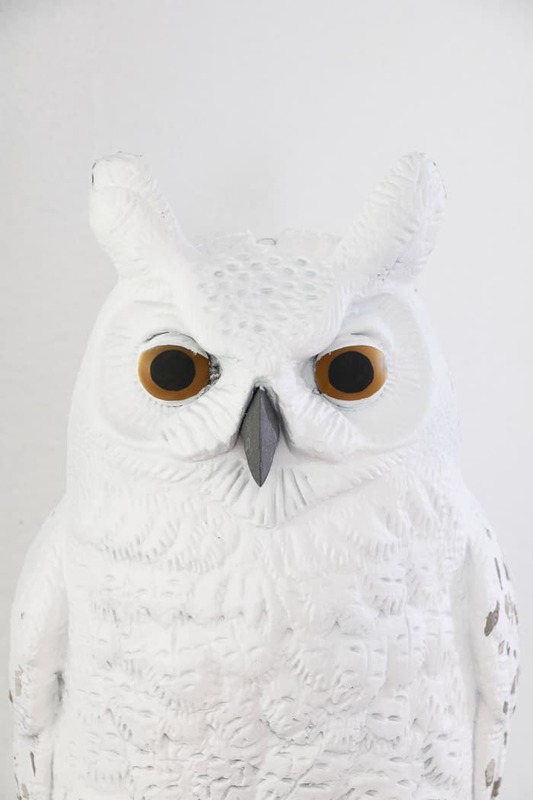 This is a quick way to turn the owl into the white color of Hedwig. It is okay to leave some browns showing through in cracks here and there but for the most part, give him a good spray of white paint. 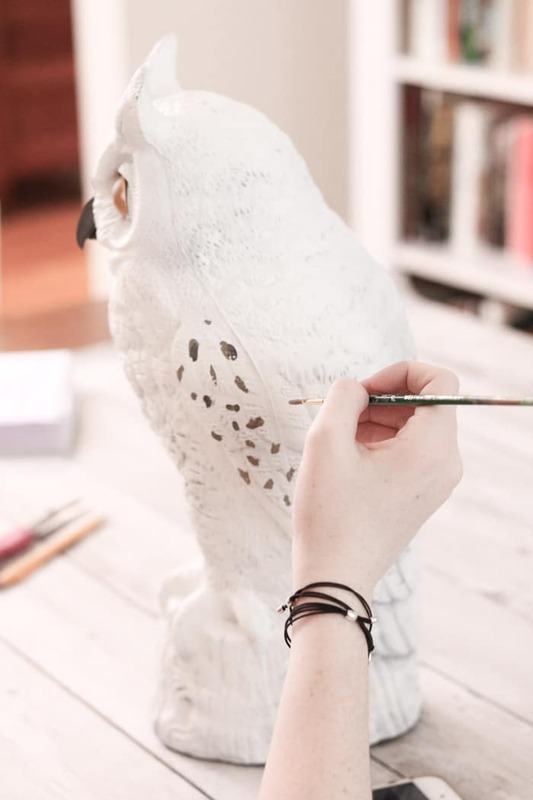 Give Hedwig his markings with some acrylic paint. This mail carrier has some darker brown and lighter brown marks on his wings, so gently apply for his trademarks back to his sides. 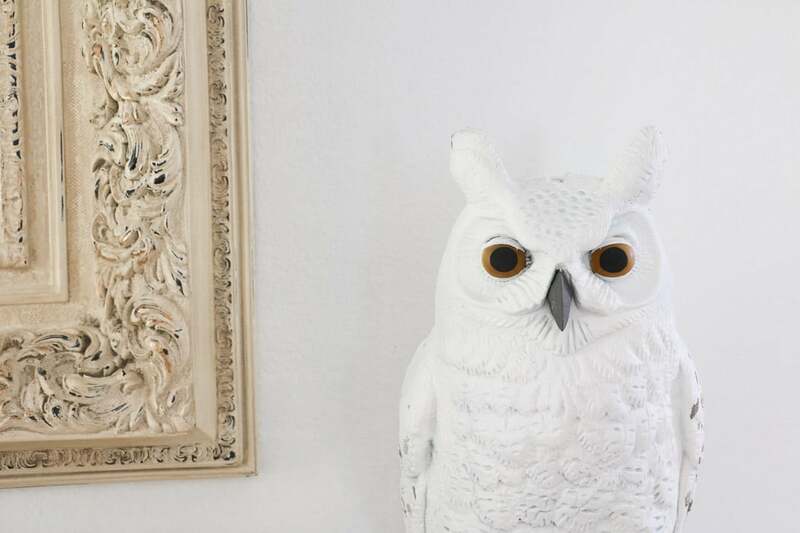 Then work on his eyes by applying some white towards the top to give his eyes a more oval shape just like Harry’s owl. Then paint the pupil, and you’re finished with Hedwig. 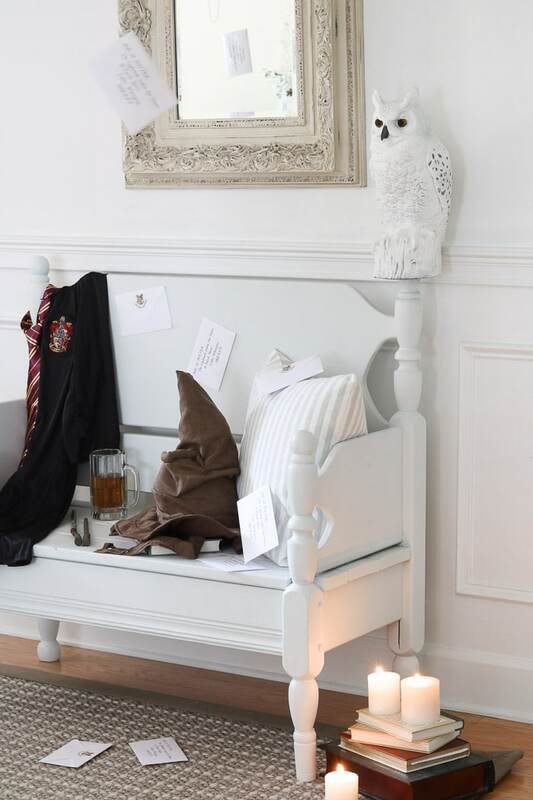 Next, find a home for Hedwig on the bench and let’s take the Hogwarts Express to school. But before we can get off the train, Harry needs his rob which can is on the bench along with his Ollivander wand. Are you starting to get into the mood like I am now? Okay, so while you are creating this Harry Potter Halloween design pour yourself a butter bear and place it next to Harry’s rob and such. And enjoy of some the butterbeer while your working. It will get you more and more in a magical mood. It is incredible how we pass through time in a matter of steps in this Harry Potter Halloween design. I came across this sorting hat toy at the store. It was just thing this space needed. 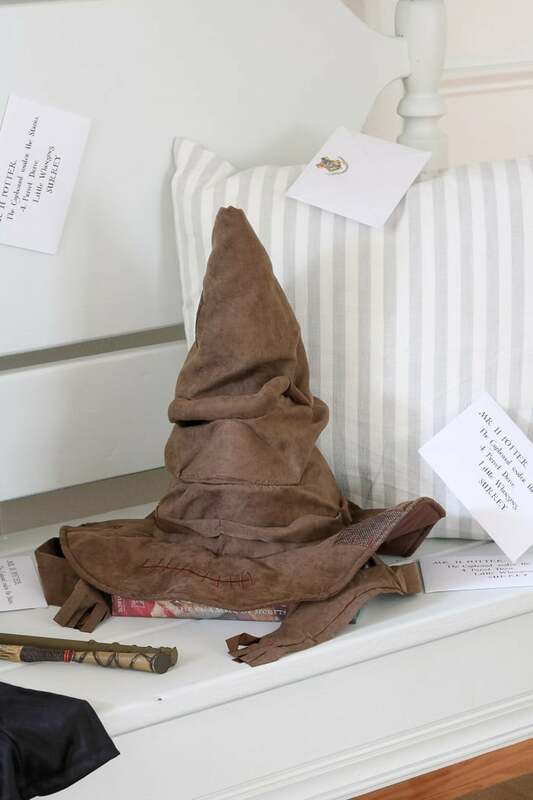 So this sorting hat talks and helps guest find out what house is best for them. 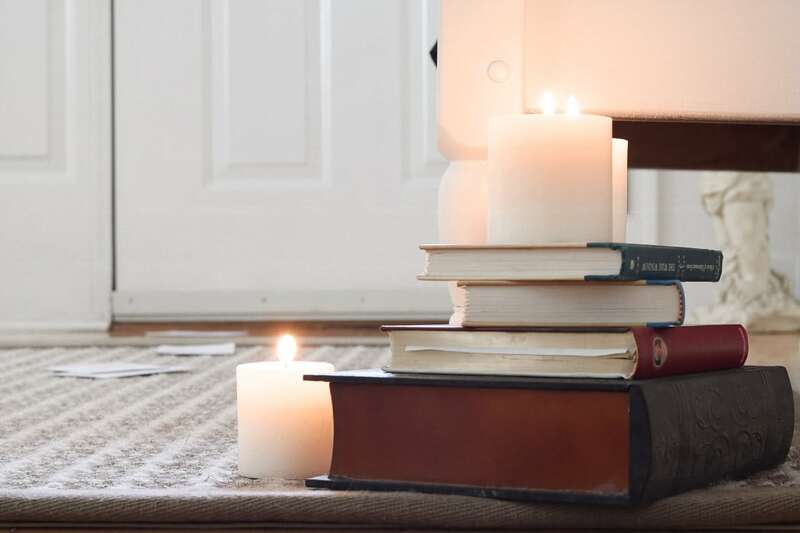 Add some books backward on the floor and place some candles to the design. The books balance the floor area with the middle and upper regions of the space. 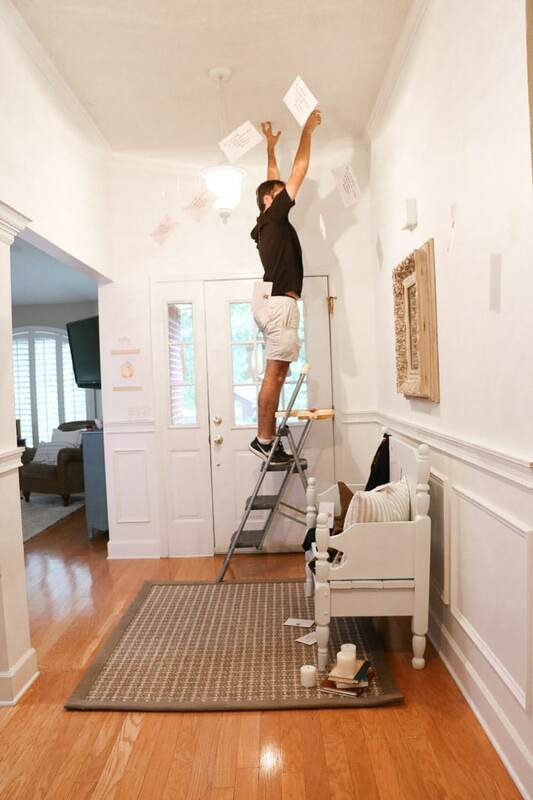 Last, sprinkle some more envelopes on the floor, bench, and tape some to the bench or walls. Now your room is almost complete. 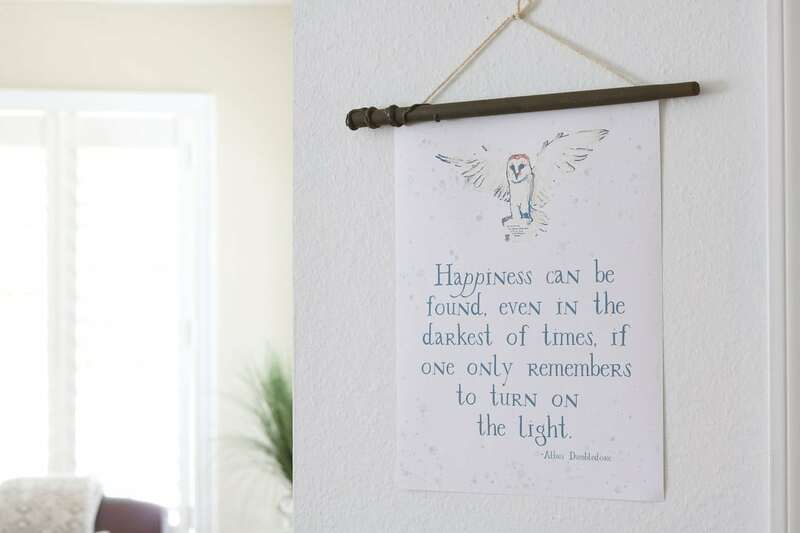 With so many beautiful moments in the movie, we couldn’t leave you without some Albus Dumbledore wisdom. So we created a Halloween free printable to hang in your space. 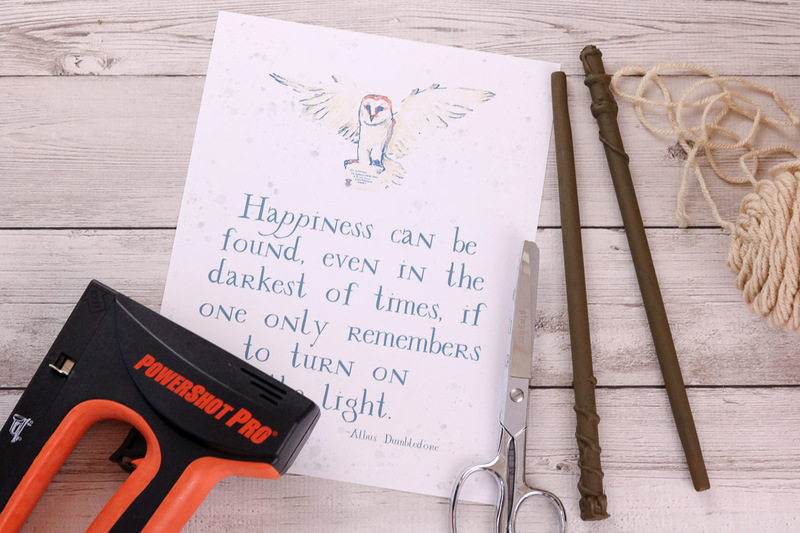 We also have a tutorial coming soon on how to create your wands and hang you’re free printable too. 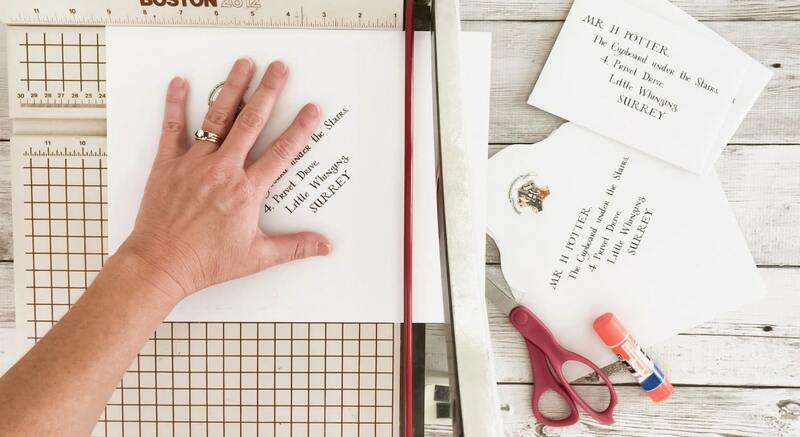 But if you are dying to see some of our free printables now then click HERE to see all the goodies in the library. 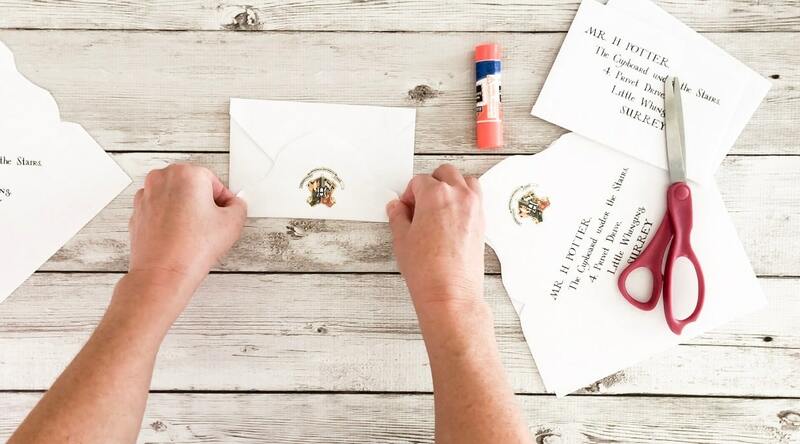 Now that you have a place for all those moments from The Sorcerer Stone it is time to invite some friends over for a Harry Potter celebration. 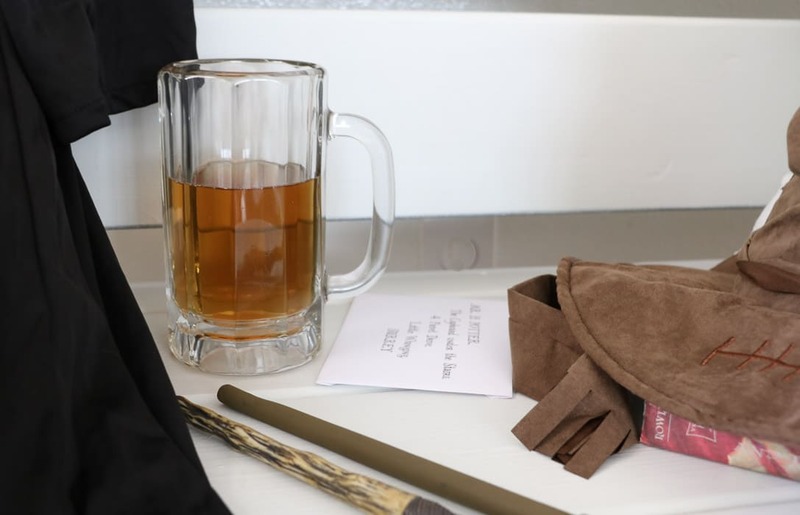 Pull out the movies, serve some butterbeer and let the magic begin. 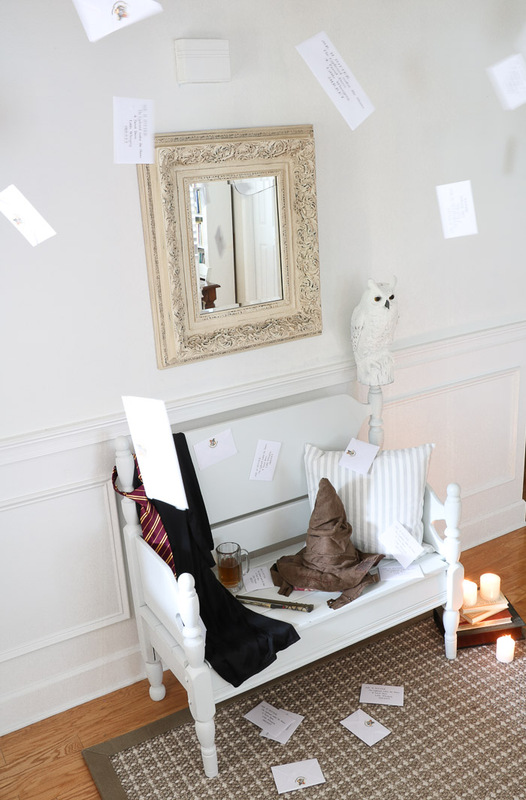 To recap what you will need to create this magical Harry Potter Halloween space see the list below. I hope you have a Happy Halloween and enjoy decorating your muggle home. 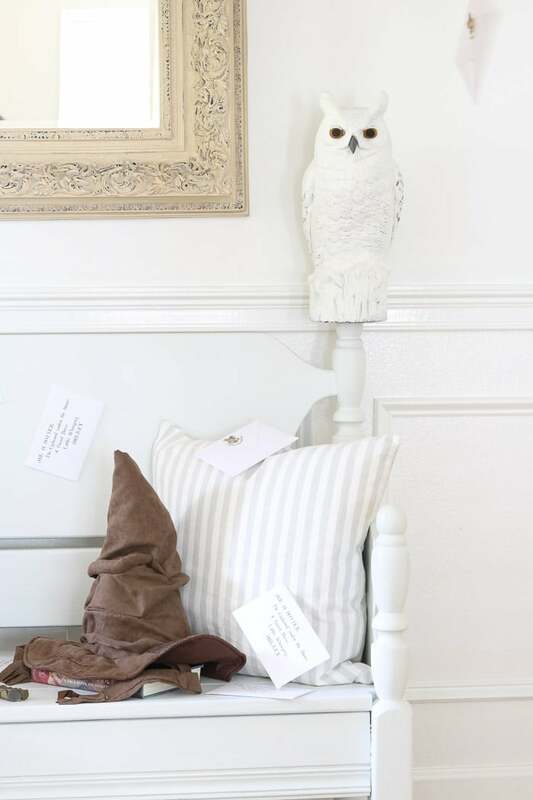 For more, not so scary Halloween decor ideas, check out our Country Halloween Decor post too.